Min £10 stake required for initial £5 free bet. Min odds ½. Max £25 in free bets. Subsequent free bets equal 50% average of each 3 qualifying bets. 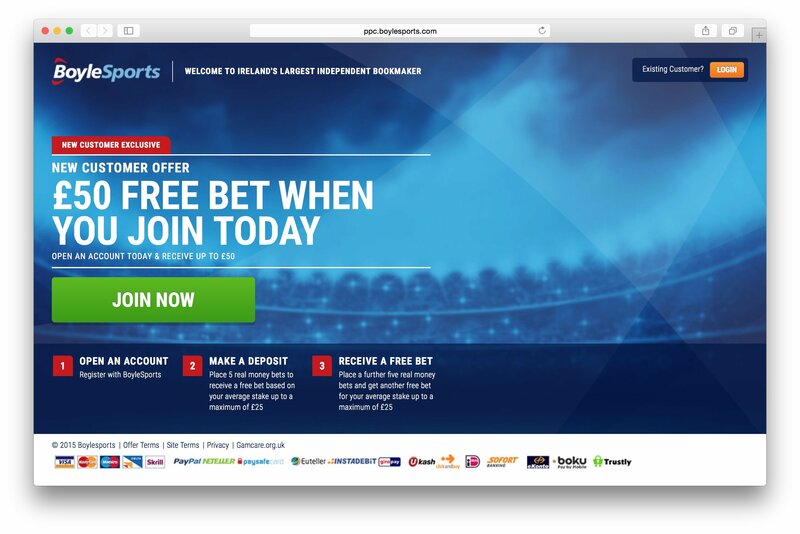 13 bets required to receive full £25 free bet. Qualifying bet must be placed within 30 days of opening account. Free bet expires after 7 days. 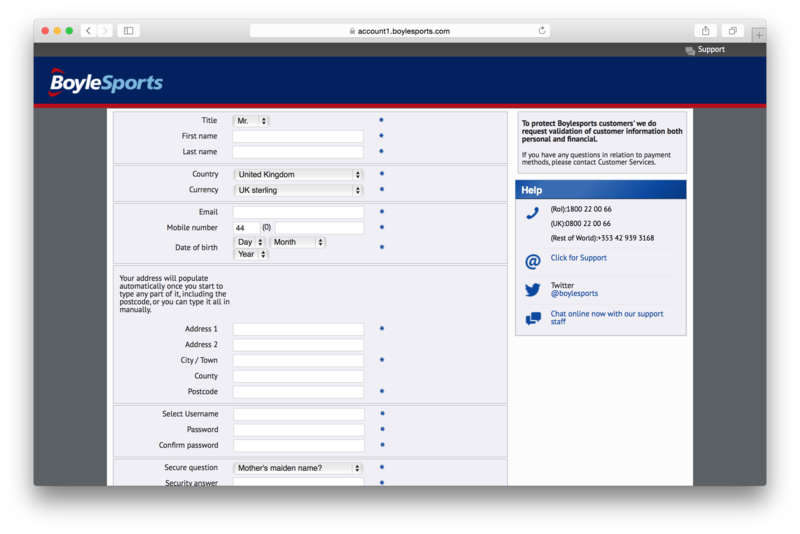 You must be aged over 18 to open a Boylesports betting account. Free bet promotion open to UK & Ireland residents only. T&C's apply. You must be aged over 18 to open a Boylesports betting account. 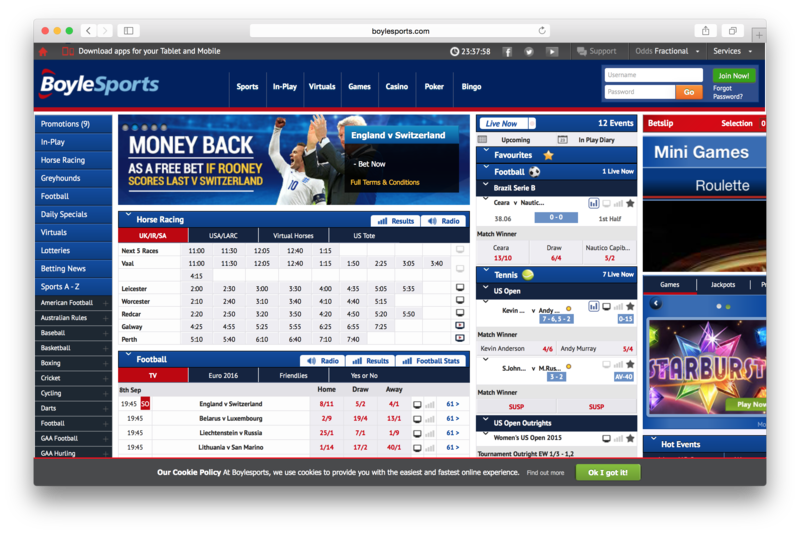 Looks like Boylesports isn't promoting any special offers, right now. Check back soon! Great for racing! Better odds on most races to be fair. great for racing, Boyle sports were an easy site to use and £50 is a decent promo offer to take advantage of. Not one to use regularly on a smartphone though as it a full size site on all devices. Good sign up offer. Easy to use and quick withdrawal. All round , easy to use. I put monny into my account put my first bet of £10 on football. My bet was stoped after my bet was aproved. My team won 3-0 so i lost out because thay say my neme on my card was difrent then the one i give them wicth it was not Then thay ask for lots of id like pasport bank acount statments. Just unfair. Ok there are better sites around but if you're into betting on horses they are pretty good. Plus they've got mobile phone bill top up. Not bad if you've got no money.